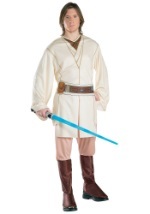 Embrace the Light Side of the Force in this Deluxe Clone Wars Obi Wan Kenobi Costume. 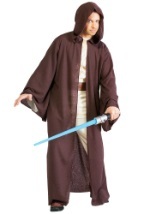 The polyester costume includes a black tunic with attached tan sashes that hang past the knee. 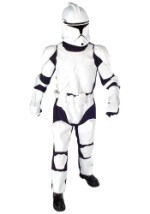 White, foam armor over the arms and shoulders attach to the tunic. A brown, foam belt ties around the waist and accents the costume. 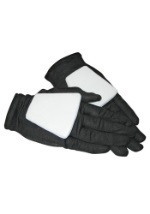 The black pants have attached, white boot covers and an elastic waistband for a secure and comfortable fit. 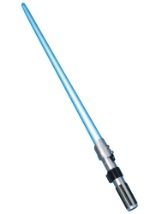 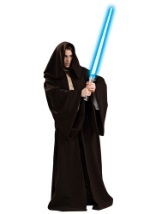 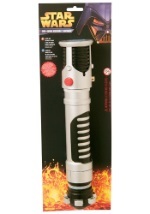 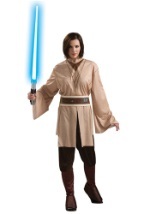 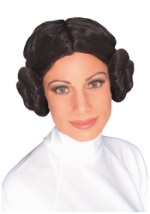 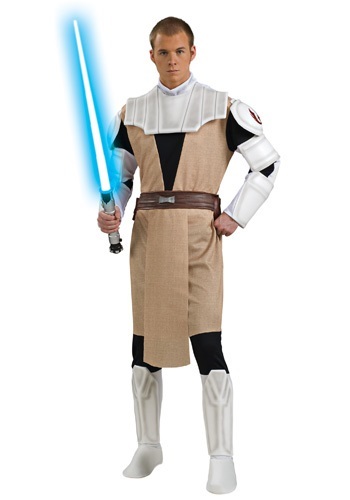 Defend your galaxy this Halloween when you accessorize this costume with our Obi Wan Kenobi lightsaber.